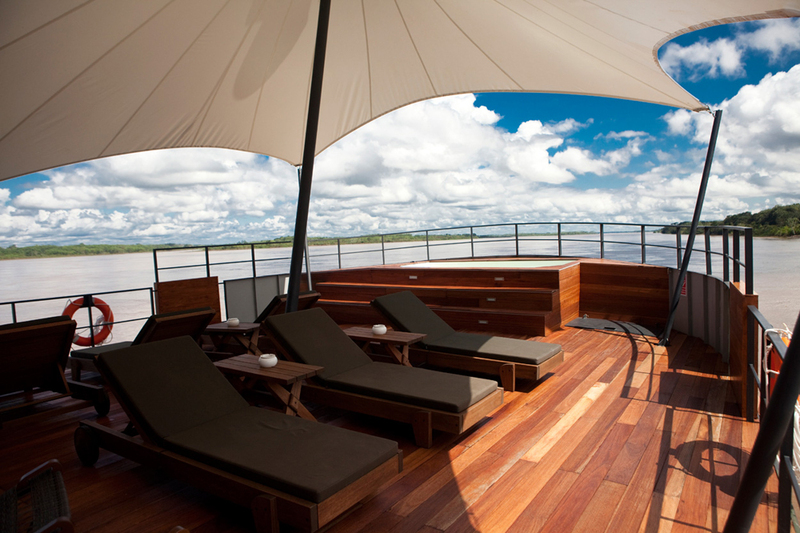 Many of us have dreamed to explore one of the legendary rivers Amazon. 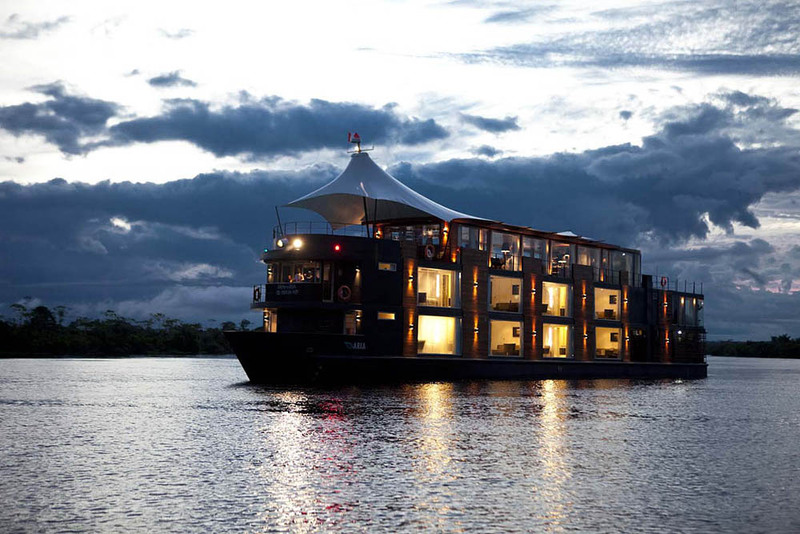 So why not to do it in Aqua Amazon style from Aqua Expeditions team. 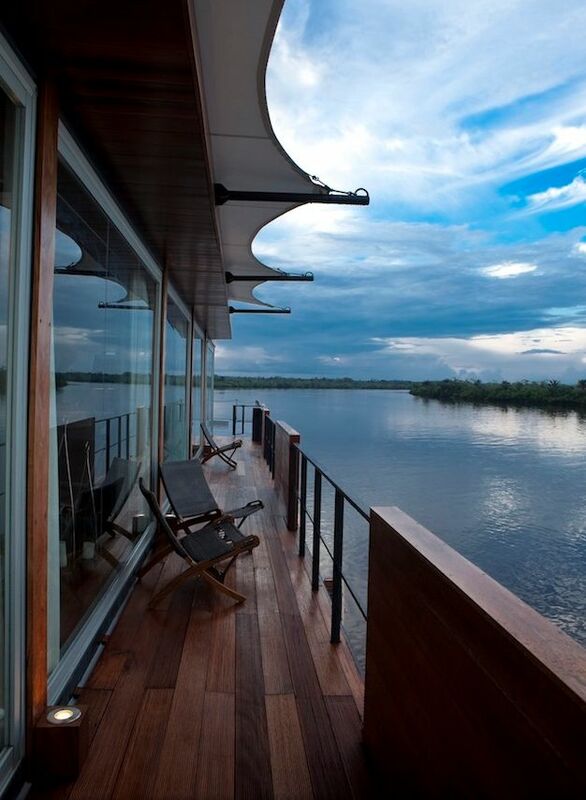 You will enjoy a chic boutique hotel that floats on Amazon. 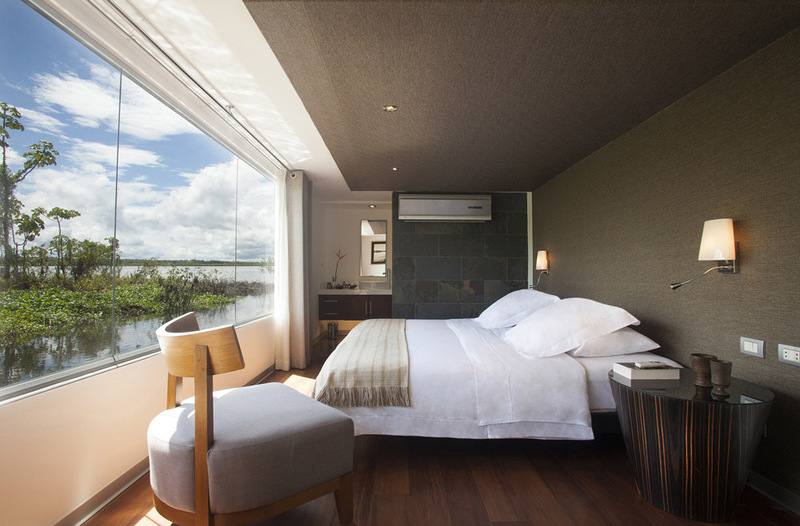 Yes, we love to enjoy nature, but not all of us can abandon the comfort offered by large five-star hotels. 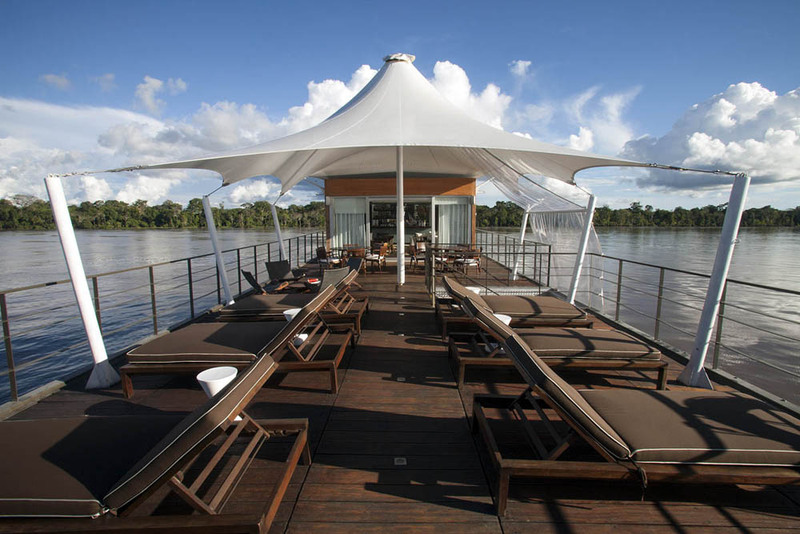 But now there is Aqua Amazon Luxury Boutique Hotel Boat. 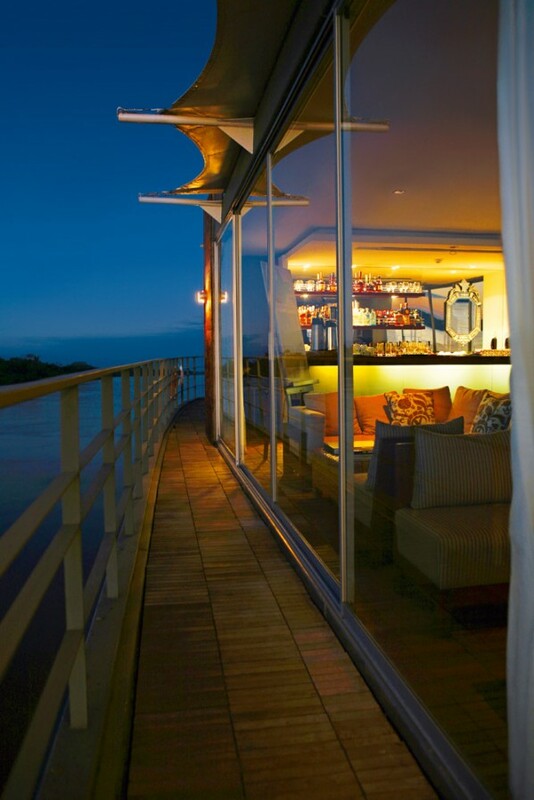 This hotel-ship offers 12 luxury suits with lovely views from each one. 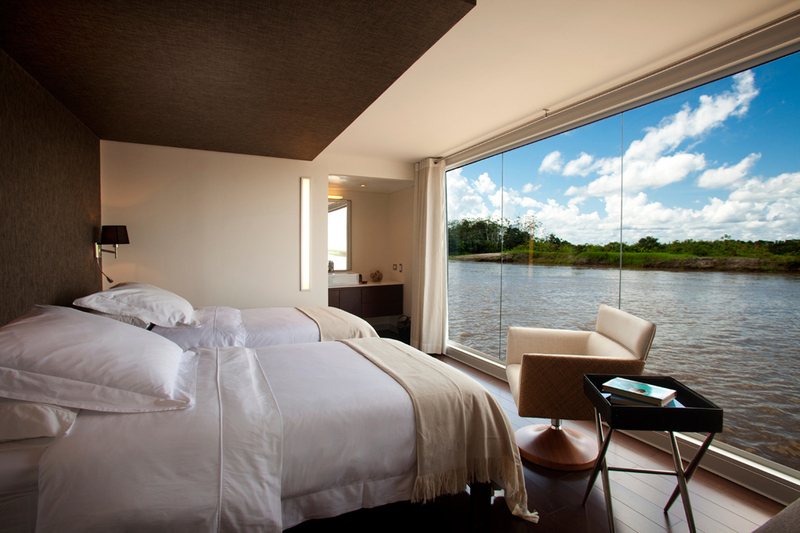 The hotel accommodates up to 32 guests along with all the staff. 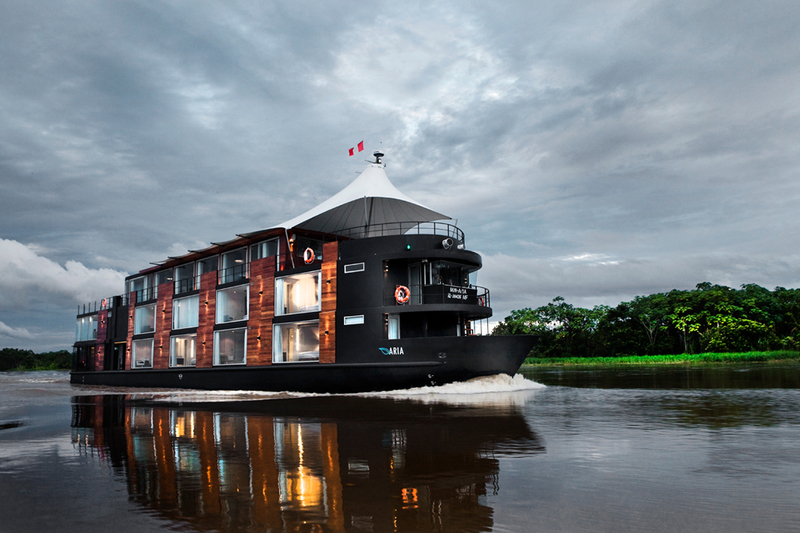 147-feet vessel was designed by well-known Peruvian architect Jordi Puig. 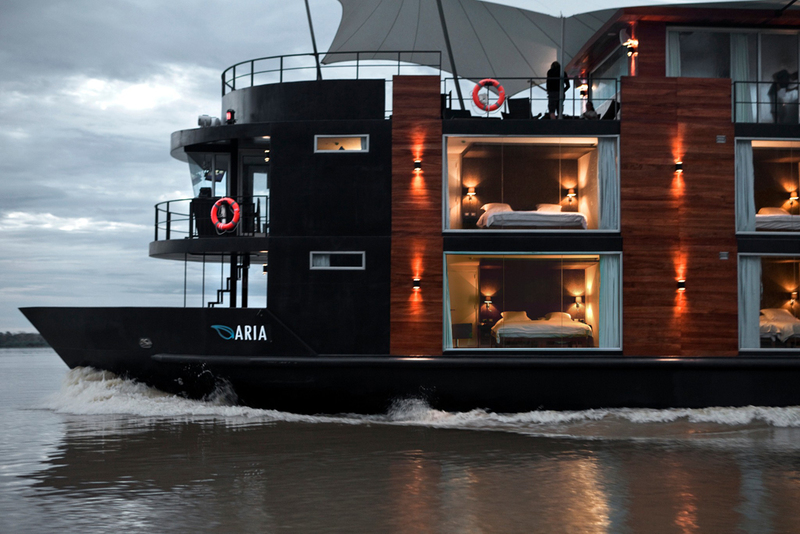 Hotel was made from a simple boat. Jordi Puig also added to the project recreational room, hot tub on the open deck , a gym for daily exercise and fitness, and of course, a gourmet restaurant. 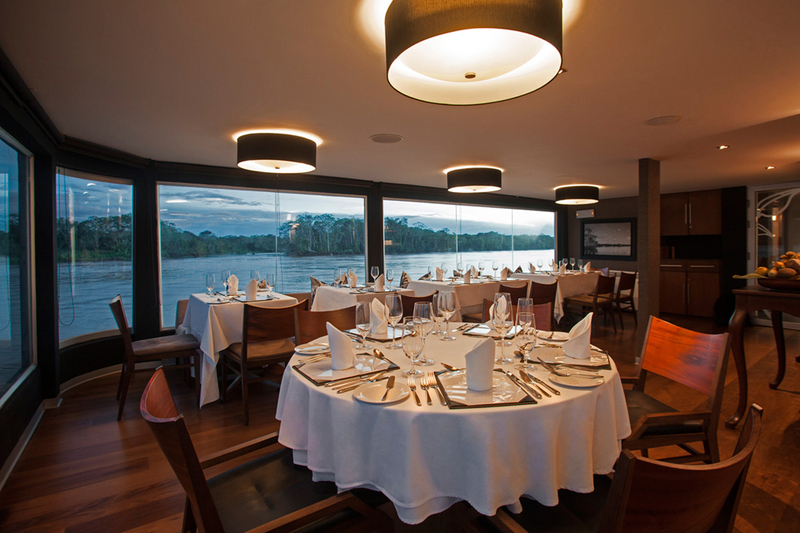 Restaurant has its own captain – famous chef Pedro Miguel Schiaffino. 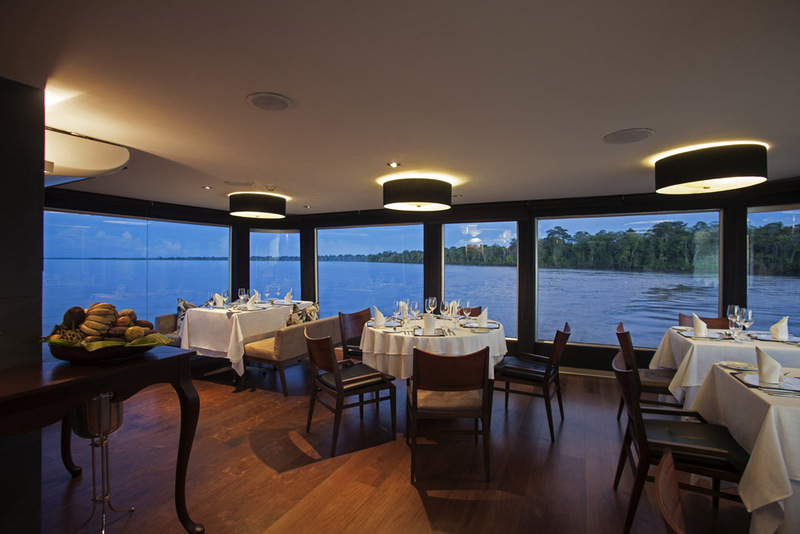 Are you already thinking about a luxury river cruise on the Amazon?